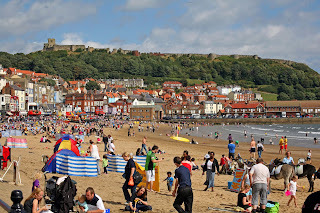 New Life Church have a coach day trip to Scarborough booked for Sunday 14th August. We have a few spare seats if anyone would like to come with us. The coach picks up from the Donut roundabout at 8.30am and sets off back from Scarborough at 5.30pm. Once there you are welcome to join us for a picnic on the beach and a game of beach cricket or rounders or if you prefer to browse the shops or visit the Peace Gardens the choice is yours as long as you are back in time for 5.30pm. Tickets are £12 for adults and £6 for children and the latest day to book in & pay will be Sunday 7th August. Please contact Jacky on 07849 073078 if you are interested in coming along.